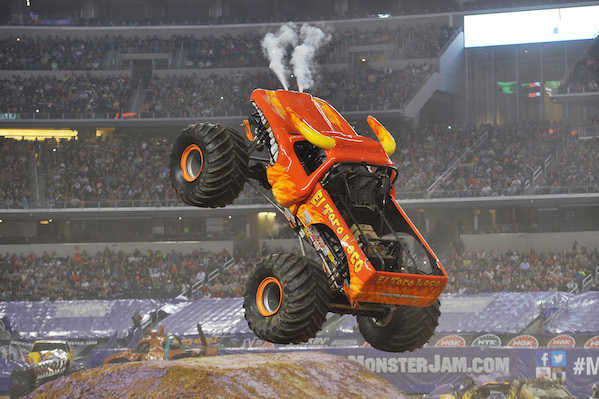 Monster Jam® 2015 is roaring into QSAC Stadium for one day only on Saturday 3rd of October, 2015. 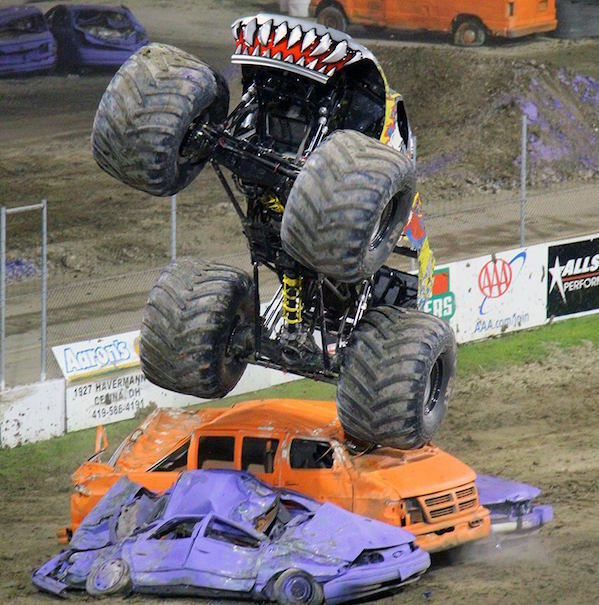 This spectacular family show features an all-star driver-truck lineup performing incredible death-defying stunts and proving the sky's the limit! No less than 12 Monster Jam® superstars will be ripping up the track in a jaw-dropping display of punishing stunts and high-flying, non-stop action. 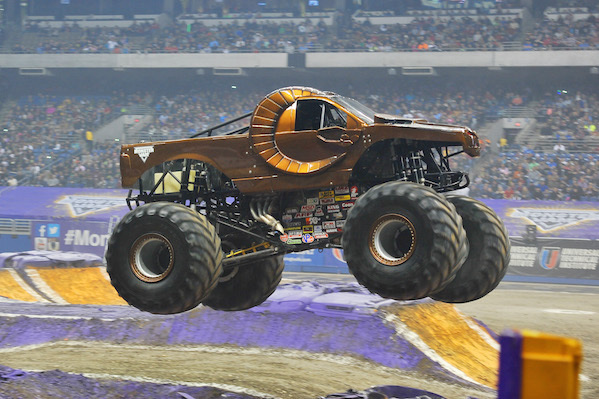 Adam Anderson, is the youngest ever driver to win a Monster Jam® World FinalsSM Championship in 2008 and son of four-time Monster Jam® World Finals Champion Dennis Anderson. Adam will be driving Grave Digger®, continuing the family tradition along with brother Ryan Anderson in Son Uva Digger®. But they'll have to watch out for Oklahoman Marc McDonald, who is set to stampede over the competition in El Toro Loco®. Current Racing World Champion and 2014 Freestyle World Champion, Todd Leduc is set to open up in Metal Mulisha. 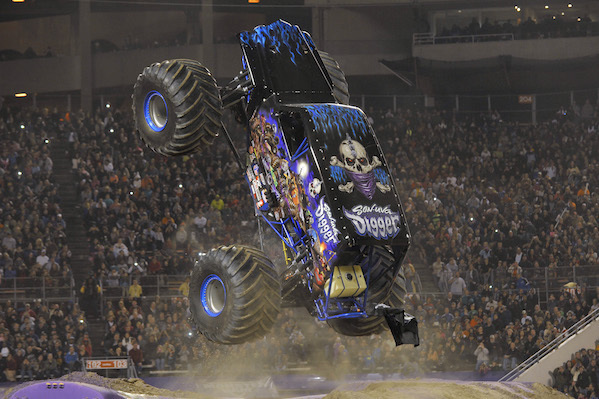 Todd is the son of legendary off-road driver Curt LeDuc, and is one of the most exciting drivers in Monster Jam®. Superstar and 11-time World Champion Max DSM will be put through his paces by Neil Elliot, one of the most talented drivers in the game, while fellow Monster Jam® driver Damon Bradshaw will be behind the wheel of Monster Energy®. Team Hot Wheels® Firestorm®, piloted by Scott Buetow, a design engineer with 32 years of motocross racing behind him and fan favourite Zombie℠ driven by Bari Musawwir, who came to Monster Jam® from the world of radio controlled trucks, are also part of the line-up! New comer Scott Liddycoat, will be piloting the fearsome DragonSM. But it is not just about the blokes this year as two of the fiercest female drivers are also joining the Australian tour - Candice Jolly in Monster Mutt® Dalmatian and the pink-loving Queen of Carnage and the first woman ever to win a Monster Jam® World Finals Championship, Madusa. Though Pink might be overshadowed by Zombie Hunter's paint job and the steady hand of one of the sport's most gifted racers, Lee O'Donnel. The audience will have the opportunity to get up close and personal with the trucks and meet all the amazing drivers with the Party in the Pits experience, priced at just $15. Kid's passes start from $25 and Adult passes from $40. Choose from A Reserve, B Reserve, C Reserve, Premium VIP and a limited number of Total Access Passes, perfect for the biggest Monster Jam® fans. 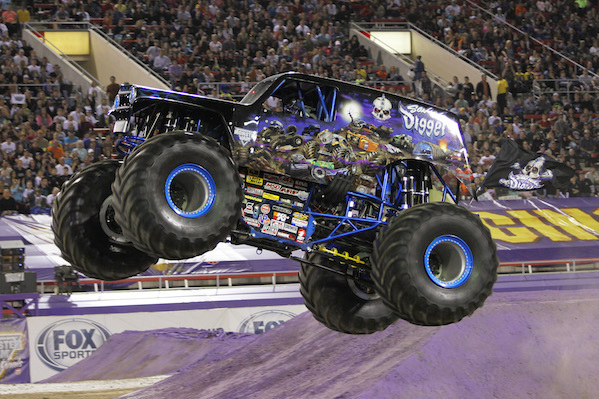 Tickets are now on sale through www.monsterjam.com OR Ticketmaster online or 136 100. General public doors will open from 2pm to 5:30pm (Party in the Pits). At 5:30pm stadium doors open with a 7pm show start. For all the latest on Monster Jam®, please visit www.monsterjamonline.com.au and 'like' the official Facebook profile.